Happy “Bring Your Man-E-Faces To Work” Day! The first Tuesday after Labour Day is “Bring Your Man-E-Faces to Work” Day. Those quotation marks seem unnecessary, but I didn’t make the title of the Facebook page, so don’t blame me. Man-E-Faces was happy to join me at the shop today. 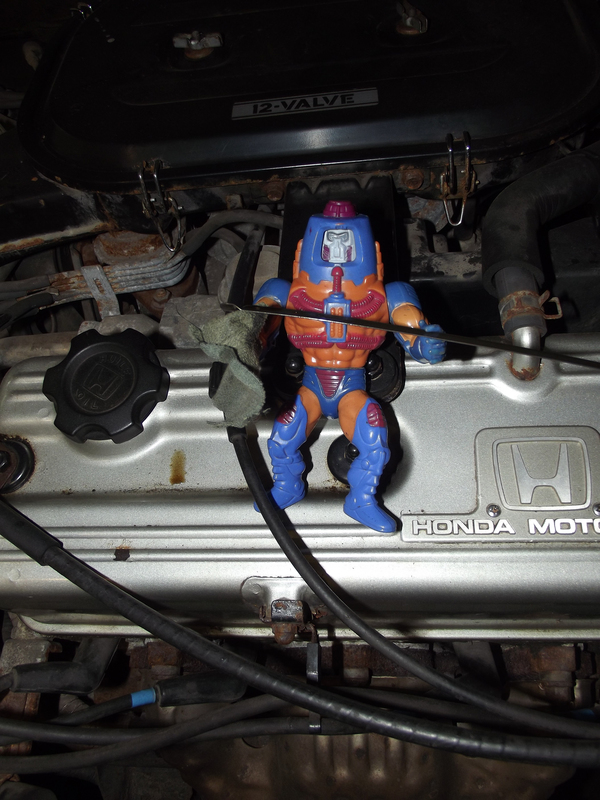 Here’s Man-E-Faces checking the oil on an Ancient Eternian Relic… an ’86 Civic.